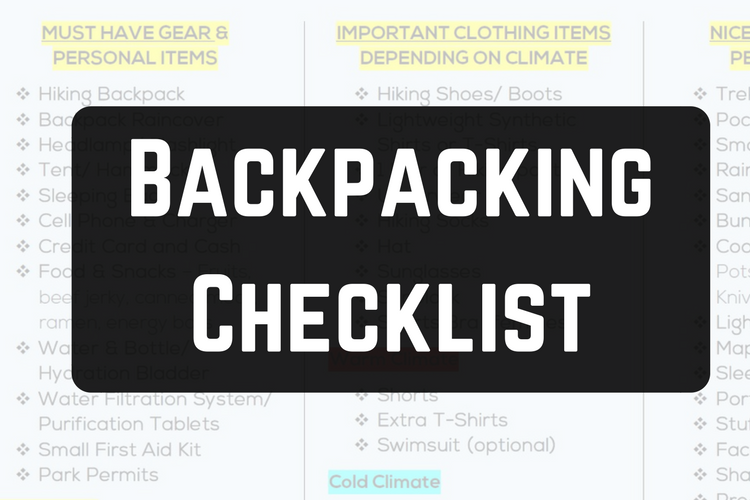 Ready to go on your next backpacking adventure but don’t have the right gear? We put together the 7 essentials for lightweight, simple backpacking with all the equipment you could possibly need. Whether you're a seasoned hiker or just trying to break into the trekking scene, maintaining or building your collection of equipment can be a daunting task. One thing is for certain though, the more weight you carry, the harder you’ll have to work during your hike. It’s best therefore to try and make your collection as lightweight as possible for a smoother, less restraining trek. As technology advances, so too do the range of options available online. There are more choices than ever, which is both a blessing and a curse for backpacking enthusiasts. Where to begin when purchasing useful, lightweight and super cool backpacking gear online? We put together a nice list of all the ultralight backpacking gear you will need on your next adventure. I'll take us through the necessities like backpacks to other handy accessories like a spork to make lightweight eating a nice possibility. Through loads of research and some individual testing we put together the best lightweight backpacking gear reviews available online. We know you don’t want to be weighed down by heavy uncomfortable equipment as you will be burning many many calories each day. Below you will find our list of the top equipment from each important category. We took the time to research and review each item so please know we would only recommend the best lightweight gear in terms of quality, usefulness, and overall reputation. The first step in building your collection of lightweight backpacking gear is a light but well-made backpack. Osprey is one of the top names in hiking due to their consistent long lasting reputation and quality backpacks that they have been making for many years. We love the look of their packs and the overall quality and design to go along with their comfortable feel. They offer simple, but useful packs that don’t weigh you down with heavy materials. In case that’s not appealing enough, please know they offer a lifetime warranty in case the pack ever gets damaged and needs to be replaced. 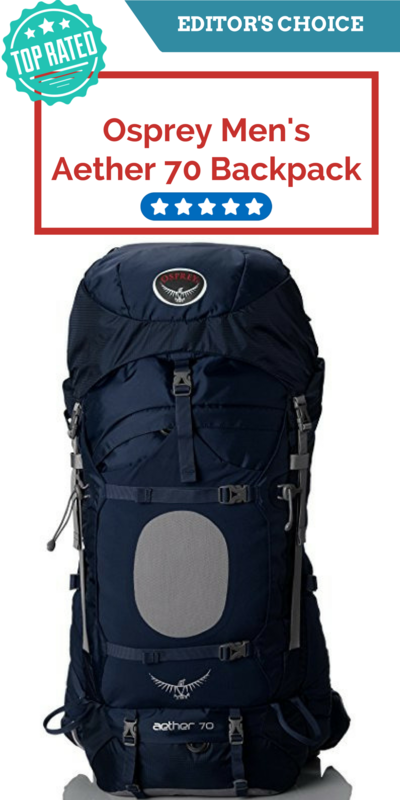 Simply put, we love Osprey packs, and believe this pack could be the best one for your week long adventure. Ready for a complete list of the absolute best backpacking backpacks in 2017? We put to a detailed guide on the best of the best right here. ​For those out there not wanting to buy the big weekend warrior backpacks, we put together a couple excellent daypacks to choose from. The Osprey Daylight is a great choice if you are planning a shorter trek. The pack is incredibly simple, with a smooth profile. The limited pockets should curb any temptations to over-pack. That's not to say this pack is without features. There is the option to attach a hydration bladder and the large zippers mean you won't be fumbling to open the pack when on the road. Large pockets to the side provide space for any additional outwear you choose to bring, while the keyclip provides the option for any essential attachments. A durable choice to start your ultralight backpacking gear collection is the Deuter Speed Lite. This is a sturdier bag with a more robust design. The Speed Lite is still very lightweight, and as the name suggests it is intended for speed. It has a breathable design with well-shaped back paneling. Like the Osprey model above, the Deuter Speed Lite has the option to attach essentials with its large loops and zippers. Its pockets are also cleverly distributed and will make organizing your pack much easier. The chest and waist straps ensure the bag is stable when you're on the move. This backpack shows that minimalized backpacking doesn't mean compromise on comfort and utility. Ready to invest in a new daypack but want to see more options first? We put together a list of the Top 5 Daypacks here. Trekking poles are one of the lightest and simplest pieces of kit you can add to your hiking collection. They are unquestionably useful on a trek for people of any age and ability. They really provide support and help on the knees in the downward portion of your trek. They propel you forward, distribute the strain away from your leg joints, and are handy tools if you need to clear debris out of your way. Minimalist hikers will want to get a pair of carbon fiber poles as they are very lightweight. I like these Cascade Mountain Tech hiking poles a lot. Each pole weighs only 8oz and there is a quick lock system so you can adjust them as per your needs. With the 100% guarantee, you'll be confident using these over any terrain. Shelter is possibly the most cumbersome item you'll have to deal with on a hike. For those who like comfort, a simple tarp won't keep the nightlife of the wild away. Lighter tents have thin bottoms that force you to either rough a night's sleep on top of tree roots or bring a sleeping pad which adds even more weight. The solution is a hammock, one of my favorite pieces of all the ultralight backpacking gear. There is nothing quite like sleeping in the brisk fall air on a nice comfortable hammock. The Golden Eagle lightweight hammock is made from breathable parachute nylon fabric and has triple-stitched seams, which means you don't have to worry about a rude awakening from ripping. It's mildew resistant and machine washable, making it a great investment for hikers who want to travel light but not be out of pocket every few years. If a hammock is not for you and you prefer a more traditional camping experience, then fear not! There are plenty of lightweight tent options available online. The Alps﻿ Mountaineering Lynx is a great one-person tent choice for the minimalist hiker. The fly and floor seams are well constructed providing secure shelter against the elements. However, this doesn't make the Lynx a stuffy sleeping experience as the half mesh walls aid airflow. The vestibule is roomy enough to store large packs while still allowing you enough space for a good night's sleep. The tent's lightweight charm does mean that the floor is quite thin, so if you are a light sleeper, perhaps plan on taking a sleeping pad as well. Unless you have a hydration pack, water bottles are essential on the trail. You simply can’t go without drinking water. We really like these awesome CamelBak Chute water bottles as they not only look cool, but function well and are relatively lightweight (of course the water adds weight…). The design is nice and leakproof and of course 100% BPA free. Like all there products they have a nice lifetime guarantee in case anything ever goes wrong. At 1L of size we think you will love this latest edition from CamelBak. This water bottle is the old classic of the water bottle industry. Nalgene makes great products and excellent water bottles. I use this water bottle when hiking and camping and even use it in the office. At 32 ounces, I try and make sure I drink at least one or two of them in the office each day. It has a nice wide-mouth opening to fit in ice cubes or anything else you want to put inside. The bottle is lightweight and sturdy and for me has lasted the test of time. After doing many long hiking and camping trips, I have found yet another thing that I can’t seem to live without—a sleeping pad. For a good sleeping pad is essential to a good nights rest on the ground. I find that although I still toss and turn a little bit it is nothing compared to that hard ground surface without a pad. Nowadays, sleeping pads are lightweight easily compactible and inflatable. They are well worth the additional weight to your pack. I have found this Therm-a-Rest ProLite inflatable pad to be my favorite over the years. It is very lightweight and very compactable to less than the size of a basketball. It has a nice warmth with a thick foam to ensure comfort when fully inflated. The pad advertises that it self-inflates but I have found it is better to just breathe into it for a minute or two to get it fully inflated. Therm-a-Rest is your brand to go with and they made another excellent sleeping pad with the ProLite Plus. Just like a good sleeping pad, I don’t ever go camping or long term hiking without a nice and comfortable compressible camping pillow. Pillows are crucial to a good night’s sleep so why should I go without them when I am on the trail? I have found these pillows to be extremely comfortable and cushiony to ensure a good night’s sleep. Beyond that, they have withheld the test of time and still hold their shape and comfortability after a couple years. Best part, once you finish a good night’s sleep, you can easily fold up the pillow into the small little pocket and store away for next time. It is easily collapsible in seconds and worth the extra dollars for a good night’s sleep without weighing down your pack. Conclusion: What Do You Need Most? I've looked at just a few options, highlighting the best of the best lightweight backpacking gear available online. You can easily build your collection of outdoor gear depending on your needs and preferences. If you prefer a little more comfort but want to remain light on your feet, then a lightweight tent is the right choice for you. A hammock is a smart and super lightweight way to bring shelter and not overfill your pack for those nature naturalists out there. A cold climate﻿ sleeping bag is also something that could go a long way if you want to sleep in cold evenings. Camping cookers, rope, and utensil﻿s are some other accessories you can use to “pimp your hike” and keep the pounds to a minimum. A light hiker is a happy hiker, after all. Let me know if there is any other lightweight backpacking gear that you absolutely can’t live without. On the market for a new hiking backpack? We put together a thorough guide of the Best Hiking Backpacks in 2017. Check it out HERE.